Am I Too Broken to Be Healed? Maybe, in the quiet of your heart, where no one can see, you’ve asked that question. You remember the woman you used to be, before it happened. You’ve thought of the woman you’ve longed to be, but now, you’re just not sure you could ever be her. My dear, courageous friend, Suzie Eller, has written a book for us who have asked this question. Several years ago I was at a Turning Point Conference. At that time I was working with teens, and my church sent me as a conferee. The facilitator flipped the lights off and a film started playing. The movie was about a dysfunctional family in the midst of a meltdown moment. Mom and Dad were arguing. One child was screaming in defiance. Another hid around the corner in angst. Then I saw her. She was trying to make everything okay. Like a tightrope walker, she asked the screaming teen to stop yelling as she attempted to comfort her little brother. She was trying to keep the pieces from falling all around her, but she simply wasn’t old or wise or big enough. I heard someone crying nearby. Wow, that person must have been really hurt in the past to cry so publicly. What isn’t anyone helping her? Then I realized the sobbing person was me. I jumped out of my seat, left the room, and found an empty stall in the women’s bathroom. A pair of red shoes appeared, just visible under the door of the stall. “I don’t understand this. I’m here because I want to help others,” I whispered to her. The sight of that little peacemaker in the movie had triggered emotions long healed. Perhaps that is the most powerful lesson I took away from that conference, and it’s one I still hold close today. We can become so whole (a wonderful gift!) that we forget the magnitude of what we have been given. 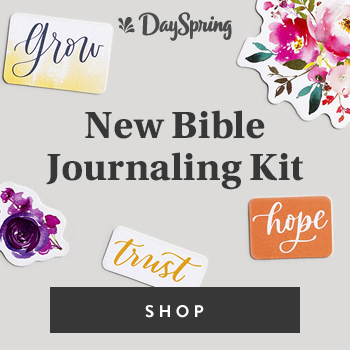 God reached down to give me a glimpse into the brokenness I had once carried as a little peacemaker, and to remind me how much He had healed my shattered heart. Maybe you feel broken. Maybe others call you broken. Maybe it seems like you’ll never get there from here. May I share something with you? Something powerful. Something transforming. The Jesus Factor is bigger than the people factor. You are NEVER too broken to be made whole. You are invited to join in a partnership with God in healing, and He’s bigger. Write these scriptures on the mirror in lipstick. Or put a sticky note on your steering wheel. Say them daily until they soak into your heart. As we release the people factor to hold close the Jesus factor, something powerful takes place. We no longer look to mere humans to make us feel valued or worthwhile. We stop waiting for another person to be fixed before we run after all that God holds out for us. We begin to see ourselves the way God does. 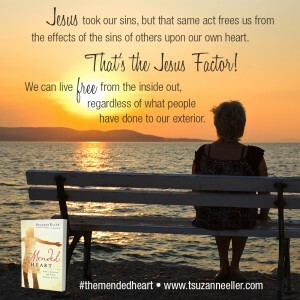 Today, Suzie is giving a free gift to everyone: sample chapters from The Mended Heart Just click here. 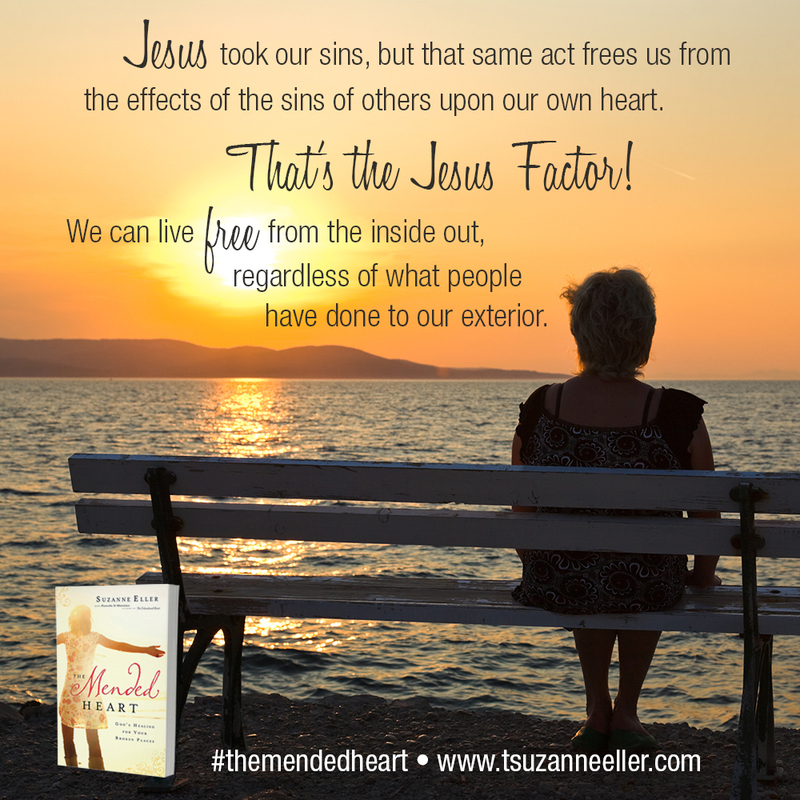 I’m also excited to be giving away a copy of Suzie’s book, The Mended Heart today. If you want to share in the comments below, I’d love to hear your heart; have you share where you need Jesus to heal you…or how He already has. If that’s too hard, simply say, “I’m in”. Please be sure to enter your comments below. (If you receive these posts by email, simply head to www.LynnCowell.com.) I will post the winner of her book on Tuesday. 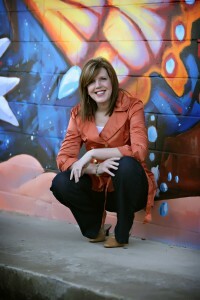 Suzie Eller is a Proverbs 31 Ministries Speaker and author, and has been featured on hundreds of radio and TV programs. She’s a mom, wife, and “Gaga” to five babies three and under, and lives in NW Arkansas. She’s a follower of Christ and loves nothing more than leading women in a new direction in family, faith, and feelings. You can connect with Suzie at www.suzanneeeller.com or www.facebook.com/SuzanneEllerP31 or www.proverbs31.org. Hi, This story touched my heart very much, Our family is a work jn progress…Thank you Jesus! I’m in. The past 3 years have brought a stage IV bc diagnosis followed by the death of my mom, my brother and my dad. Just yesterday, I lost a dear friend. Jesus has been with me through it all. I can’t imagine trying to endure the blows of this life without Him. I’m in. I saw something about this book yesterday on facebook and knew I needed it, then opened my email this morning to find this. At one time I was passionately in love with Jesus. Now I feel I am going through the motions and am calloused and hardened to where I can’t feel. I know this is from the hurts of the past. Much healing has taken place and I see God working all around me but I cannot feel. I think it is protection from pain but it also prevents feeling the good. I need this book! I’m in with all of you. 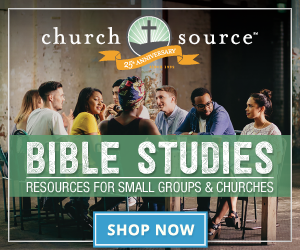 Having adopted a sibling group of four children from hard places — and having one serious problem follow another– prayer and scripture are holding me together. With God’s love we will one day have a story to tell that will bring glory to God. Bette — my prayers are with you. You are so right –without Him we would not, could not make it. So thankful for Jesus healing power! I’d love to have a copy of the book! Thank you for sharing “You are NEVER too broken to be made whole.” I know that I have been healed of past hurts, but they still pop up in my life. God is letting me remember for a reason, whether I like it or not. And, my daughter can greatly benefit from the verses you shared. I’m going to put one on a post-it not right now on her mirror. Wow. I came from a dysfunctional family and then created my own. As a “peacemaker” I was unable to save my marriage from abuse. Thankfully, I left that marriage but still have to be vigilant to protect my young son. God is healing me but I know there is a long way to go. I’d love to read Suzie’s latest book. I am SO in! I am SO healed, thank you Jesus! When I was a child, I was molested by a child-care provider. At the time, and even after I received Christ, I believed it was something wrong with me. I would go on to to receive much counseling and love from my parents, many said “It isn’t your fault” but still I couldn’t shake it. It took years to ACCEPT and EMBRACE that it wasn’t me and I wasn’t broken. I know have a very healthy and happy relationship with my husband, we have two beautiful daughters and baby number 3 is on the way. Christ is the ultimate healer, no one can replace Him, but it is wonderful to have those around you that love you and support you as you go through it. “You are NEVER too broken to be made WHOLE” whether something done to you or something you’ve done, it is so true. I cannot wait to read your book! I already know a handful of people I am going to share your book with. Thank you!!! One of the most powerful concepts that I found as I researched for this book is that Jesus not only took our sin on the cross, but that same act frees us from the effects of others’ sin upon us. My prayer is that the lessons that one person’s sin imprinted upon your heart will be replaced by all the truths God speaks over your heart, like you are valuable, my touch is healing not harmful. There is healing for those broken places, and I pray that day by day you sense God with you so close, walking with you toward wholeness. Well I wasn’t there and I didn’t see the film but I felt as though I would have had the same reaction. I realized that I too was that little peacemaker and it carried through to my adult life. Jesus has healed my hurts and I know now that I am the person I am today because of it. Suzy’s story was the reminder that I got that showed me how I have been healed and how Jesus has empowered me to move beyond my brokeness. Thank you! Thank you!!!! My husband has been involved in an affair with a former friend of mine for several years. He is now asking to come back to me, which he has done many times before, all the while continuing the contact with her. I am so afraid. I so want God to heal us both. I’m in as I think about I can relate to this story alot as I was growing up and still growing and still trying to heal as I think of all I have been through, as a single Mom, being Homeless, and still struggling in a lot of areas .. This book is right up my alley would Love to read the whole thing. I read this and was like wow. I do feel this way. I feel this way all the time. I feel inadequate to parent my children due to my own upbringing. I came from an abusive, dysfunctional, alcohol home. My dad drank. It didn’t take me long to figure out he drank more when mom was home. She was and still is verbally abusive to all she came in contact with. Just recently I had to separate my self from her. her words are so toxic. My sister took her pain on me. Which left me wondering why am I here? I was told growing up I was determined to be here. Mom got pregnant on the pill. Dad wanted more children she didn’t. I found out in my teens my dad got married to have a family, she got married to leave her home life. Now how toxic is that? I started getting into drugs and hanging out with wrong people as a way to escape my home life. I started hanging out with carnival workers and when I graduated I ran away with them. I did this up until I had my first child which was out of wed lock and the man left me. I look at my past and see destruction and dysfunction. Which I am now bringing into my own kids. I find myself yelling a lot. I find myself always angry or irritated. I feel as though they rob me of my daily joy. I shouldn’t feel like that. I know this. I have learned to share my pain. my pain has helped me to relate to others. Specially teens in my church. They talk to me because some of them feel the same or were in the same situations. I ask God to make sense out of it all and use it for His glory. I don’t know what else to do with it. I try to forget it and then I open my mouth and out comes my past. Is it possible to learn healthy way to parent even though you weren’t raised that way? Can my children be saved from the scaring that has already occurred? I’m not sure. I hope they grow up and remember the good stuff and only good memories. It’s totally possible to raise good kids even though you weren’t raised that way, I’m proof. I have a wonderful daughter who will graduate in May, and is a TOTAL blessing in my life! Keep walking with The Lord, and let your children see you walk with Him, so they will walk with Him, too. You CAN do this! God bless you and your children, Friend! I grew up in a home that from the start was turbulent and divided. My father did the best he knew how to try and raise us for the Lord and protect us from “the world”…but it got in. From the time I was 5 yrs old I was molested by two family members. I witnessed my mom struggle with drugs and alcohol and be rejected by her for men. My parents divorced and remarried others who just seen to turn my parents attention away enough that night my life began to really hurt, siblings began hurting me physically and emotionally, mostly because they themselves were hurting. The lifestyle my mom and get family lives was reminiscent of Sodom and Gamorra. I never could find safety other than in my grand mothers arms. She always pointed me to Jesus, I always felt His love there. By the time I was 20 I had two children, recently ended a violently abusive relationship with my children’s biological father. I had been homeless, abandoned by family, friendsand called a statistic. That’s when I ran to Jesus. I surrendered and went home to Him at 24yrs, old. That next year I married my fiance of 4yrs and began living a new life….but the world still crept in. My husband began to be distant and the the verbal abuse and distance between us set in. His past of being abandoned as a child caught up to him. We both were walking wounded, hurting each other. I began to surrender it to God, and even today I walk in my relationship with the Lord with out my husband as a spiritual leader of my home. There are days I struggle to breath it seems, but I know I’m not alone. I know God loves me. I know I will get through this, but with two struggling teens and a seven year old I’m home schooling and a absent husband who is home…I’m what you’d call a married single mom. I’m trying to learnhow walk through this season, it’s painful and my heart sends to always be broken. But iI can stand on a single truth that will make me raise my head up and walk on. I am God’s and He loves me deeply, in and out of storms and harsh seasons. I am His and He’s over come it all. I can put my trust in Him and I will make it. It won’t be easy and most days I can’t see how, but I stand, pray and wait for His rescue, His Reputation, His return. Okay so I am sharing my story as best I can. I grew up in an abusive home, was molested and instead of my parents protecting me, they beat me down physically and mentally. I was a filthy child to them and unworthy of love. I grew up believing that for my entire life until just recently. I am learning each day that I am loved by God and others. Now I have survived the child abuse, molestation, divorce from an abusive man who took custody of my children from me, deaths of my brother and grand-parents, a nervous break down. I am now in a grieving group at my church, learning how to grieve and let God handle it all. It’s not easy at all. I am trusting God to uproot the horrible roots of my past to sow in me His renewed seeds of life that He wants me to have. Rachel, thank you so much for sharing your story! I am so very happy to hear you are in the process of receiving God’s healing! I have been struggling whether God was even hearing me anymore. Everything kept breaking. My furnace 3 times, the fridge went out, my computer blew up, the car had to be repaired around 6 times. Just when I didn’t think I could handle any more, the car needs more repair, my son passed away at the young age of 45 from a sudden heart attack and then my faucet started -not dripping- but an actual run with no way to fix only to replace. I cried and cried how can I take anymore. My son didn’t have life insurance, my finances were drained, taxes were still due and now I had another repair. Before I could get a repairman there, the water heater blew the safety valve, water poured out all over the floor leaving me with cold water and no furnace because the water got in and put the pilot out. I called my prayer partner to help pray with me. The next day I called the repair man. Without knowing all the details, he came got the leak stopped, relit the water heater and furnace and wouldn’t take a dime for it. God is good! Thank you so much! I’m in! Praise Jesus! I’m In. Thank you for sharing what God gave you. I’m in!!! The past couple of years have been so hard for me. I have been struggling in my career and marriage. I have recently started regularly attending a local church with a friend from work who is also going through a difficult patch. And over the past few months both of us are seeing changes for the better. I’m so excited to be growing in my relationship with Christ and moving through all the hurt from the past couple of years! Wow, so many of the same stories here, it’s amazing! God has brought us together so that we can see we are not alone. I was raised in a split home, single mom who drank and hated the world for what my dad did to her. I was sexually molested by a family member, but didn’t even realize it at the time. I am growing in my relationship with the Lord, and can look back on my life and see how he has guided me, and is still guiding me, now that I have my own children. It’s truly amazing how powerful His love is for us! For all of you that I read about here, I feel for you, and admire you so for sharing your struggles. So many would never do that, and it’s a healthy step you are taking, so keep walking with Jesus, and God bless you Lynn for allowing us to ask for prayers here, and speak from the heart! Yes Bobbie! I admire the bravery shown here and know that as we are courageous to bring the hidden things of darkness into the light, the enemy is defeated and we are healed! That was me and this book is such a blessing and has helped me everyday of my struggle. I would love to share a copy with a beautiful friend of mine who I know will be blessed by it too. I’m in! Thank you Lynn and Suzie! 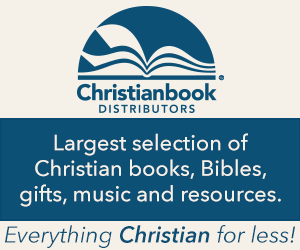 Wow–the stories they are endless and to think that Jesus freed us all! We are all consumed with at least one lingering terrible haunt from our past and they are so hard to move on from. Like her story, we all feel we have surpassed it and one day it leaks and then it POORS out…memories, haunts, words and blame…they are there tucked deep within. I LOVE how we have such a forgiving God and the more trials we go through, the more Abba Father hold us and LOVES us even more as we CALL, PRAY and get on our knees for HIM! 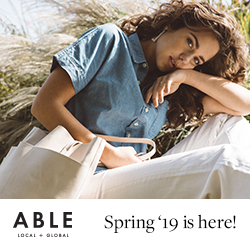 This gal is IN! Thanks again Lynn for bringing us another great read and thanks Suzie addressing the needs of so many women! The joy of my heart, Marsha! Women sharing with women to bring us closer to Jesus! I’m in. It has been a long 5 years of struggles. I am tired and just said a couple of months ago “i’m broken and i don’t think I can be fixed” Thank you. I desperately need this book! I’m in. Thanks for sharing a story which stirred my heart. Wow, this is awesome. I am always hurt, by family and friends but what hurts most is when I am misunderstood by my husband and children. Reading this email has allowed me to accept pain and use it as a learning curve to help someone else in need. I pray that I don’t fall in the catergory of “Hurting people, hurt people” but I want to be in the catergory of “Hurting people, bringing healing to others. Thank you for allowing me to be connected with you. I’m in….my recent serious illness has become a blessing, by bringing people into my life that have shown me true compassion and love, but most importantly how to look to God and believe. I am so excited to begin my new path in life and enjoy everyday through GOD!! Your testimony is beautiful, Tracy! I love to hear how God brings us closer to Him in so many different ways! As someone who is trying to heal from abuse, and I constantly keep falling back into the flashbacks and realization that I’m just now healed yet. Yes. I needed this. I’m in….my story has many ups and downs to which I am working daily on healing. this hit home. thanks for sharing! WoW, that’s me, the childhood peacemaker rolled over to adulthood. I am finally beginning to feel stronger. It’s only with God this has happened. I tried on my own but it didn’t work my tears only got worse. I’m in. Just yesterday I sat at my kitchen table crying but not knowing exactly why. The thought that kept screaming through my mind was “I’m broken but I don’t know how to make it better.” I’m a pastor’s wife, I’m not supposed to struggle like this, right??? I know the Lord can heal mine, I just need to believe again. He has healed my heart from being wounded by other Christian women. I still have a ways to go though as I have not returned to church because of the pain. I’m in… such a timely post. thank you! I’m in! I’ve already downloaded the kindle edition, but want to get a copy for another lady dear to my (mended) heart. I am in. We are working through a double tragedy – my brother and his wife. God can mend our hearts. I’m am definitely in!!! I was sexually abused as a teen. I thought that I was over this but it seems like I have built a wall around myself. I guess in order to not be hurt again physically & mentally. I need to completely get over this & stop dwelling on the past! I trust I will be healed. I walk towards it in faith everyday. But of course I stumble and when the members of my family are all in an uproar and the weight is crushing down on me, I often feel it is all too huge to be healed and I sometimes lash out in frustration before I remember where my power should be coming from. I’d love to read this! I’m SO thankful for the Lord’s faithfulness in my personal life. However, the deep struggling continues – this book sounds like it’s something I NEED to read! My family sooo needs this book to share lots of our hearts need mending!!! I’m in….despise the things growing up, the relationship with my kids father, financially broke, unstable, @ 40 12/5/13 my son is incarcerated, @ 41 3/2013 diagnosed w/ Ovarian cancer, got surgery, chemo, try to go back now develop fybromialgia, but God still God and He still sitting in heaven with His beloved @ His right hand…and always carry me on the palm oh His mighty hand…Love Him and He loves me….God bless! I’m in. I just recently re-started my relationship with the Lord after years of hiding because I’m so broken. I know now that .only He can make me whole, but it is very much a struggle. I’m in! So much pain and devastation to expose my heart but God knows. We’re working through it together. I’m in! (24 year marriage, we are a work in progress; however I keep thinking of the past hurts and afraid to heal only to be heart broken again). It’s a repeat cycle every few years go to biblical counseling heal only to be betrayed again. Healing in my relationship with my parents. Too much to go into. Thank you for this amazing opportunity! God bless! I am praying for a mended heart from depression & seeking to have more JOY in my life every day! I’m in for my daughter. I’m in! I need major healing with relationships especially with my parents and one of my siblings. I would love to keep working on myself and my brokenness! I am healing one day at a time! God healed me through my discovery of a mental illness that occurred through a teenage pregnancy and adoption of my birth daughter 28 years ago. After 24 years and a partial reunion I had a mental breakdown and was diagnosed as being Bi Polar. I thought my life was over. God slowly brought my heart back to life. He gave me the strength I thought I no longer had and I needed to build my life back and to be made new. Only through the Holy Spirit is this possible. Yes the meds help control the disease but God is my healer of the pains and hurts I have endured through out my childhood before and after the adoption. God is faithful. I am so thankful for every tear. Every pain. It molded me into the vibrant strong spirited woman I am today at 46. My marriage of 20 years ended as a result of my breakdown and my ex-husband left me and again I thought my life was over and I was too damaged for any man to love me. Again God slowly healed me and just as Joel 2:25 states that God will restore the years the locusts has eaten away- He did just that. I met my new wonderful husband on Christian Mingle and we have been married now for 4 months. I have a wonderful new church family and I am surrounded by people who love on me. This post was awesome. Thank you so much for sharing. I feel honored to be able to share some of my story. God Bless to you.